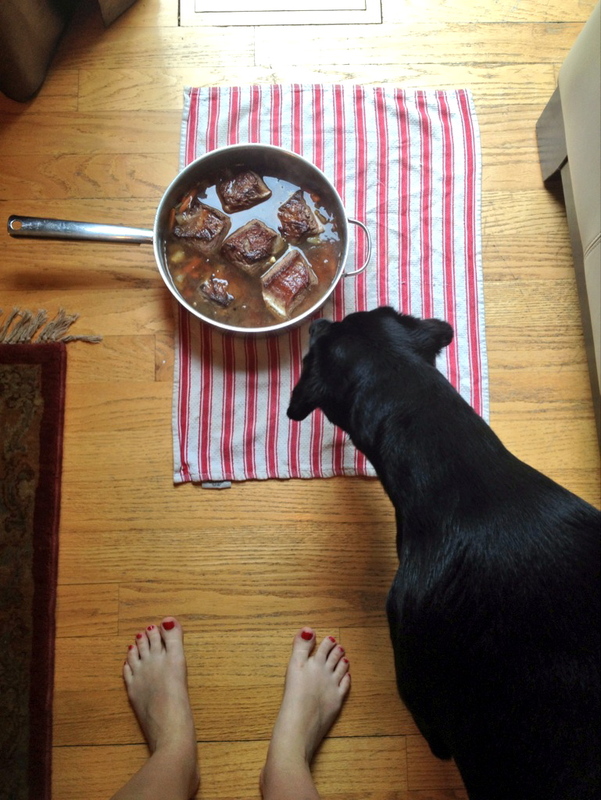 What’s not to love about short ribs? They’re pretty cheap, super meaty, and easy to cook because after a bit of prep, you can just walk away and forget about them. My kind of meal. These short ribs are fantastic and feature one of my all-time favorite flavors in the world ever in the history of the universe: Worcestershire sauce. I’ve loved it since I was little (though we did break up for a short time, when I discovered “anchovies” on the ingredients list. But I got over it and we’re back together). I love cumin and bay leaf with Worcestershire, so they got thrown into the mix, and thyme is always a good time/thyme., so he’s here, too. 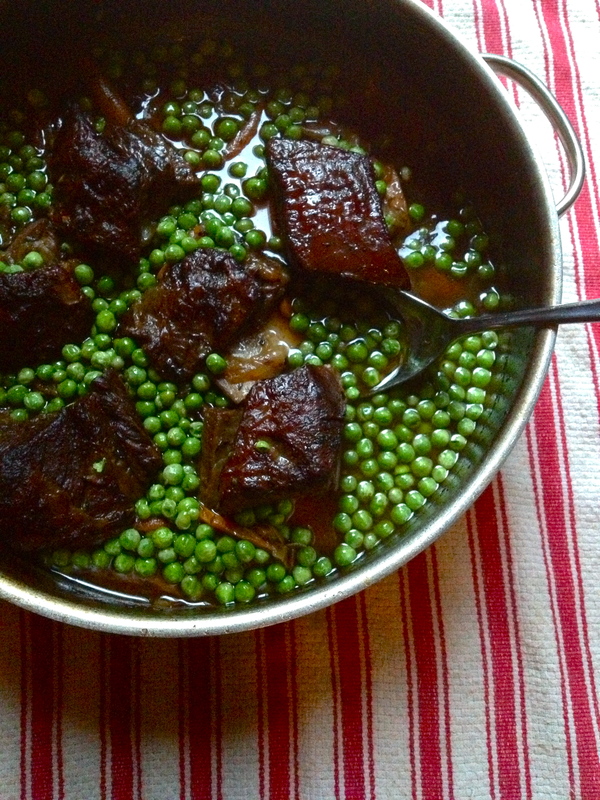 As far as side dishes go, I like to add petit pois at the end of the cooking process and make a sort of one-pot meal, but short ribs also go great with mashed potatoes, grits, or some delicious buttery rolls. Just go carnivore-nuts on their deep amber goodness. In a Dutch oven or other large, stovetop- and oven-safe pot with a lid, heat butter and olive oil on medium high. 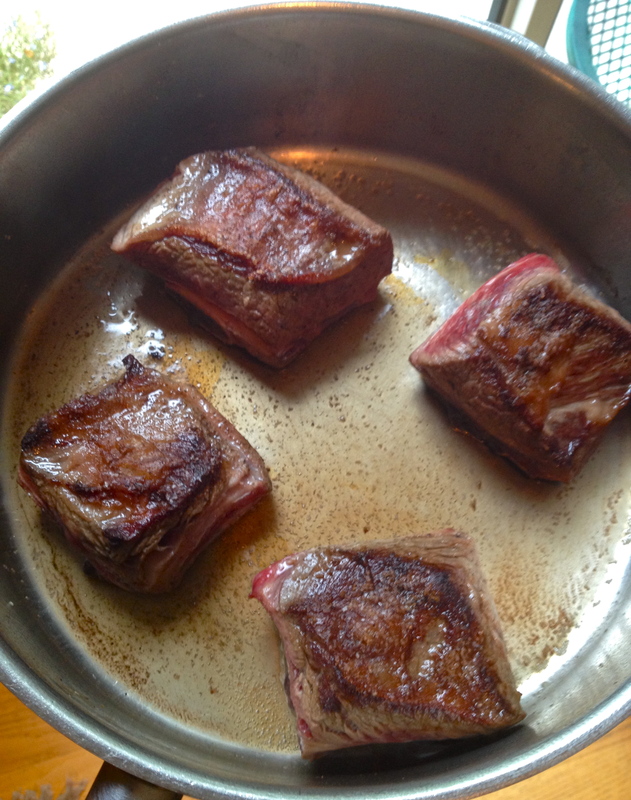 Season each side of the short ribs with salt and pepper, and brown them in batches, careful not to crowd the pan. Don’t worry about cooking them through; we’re just trying to get some color on these babies. 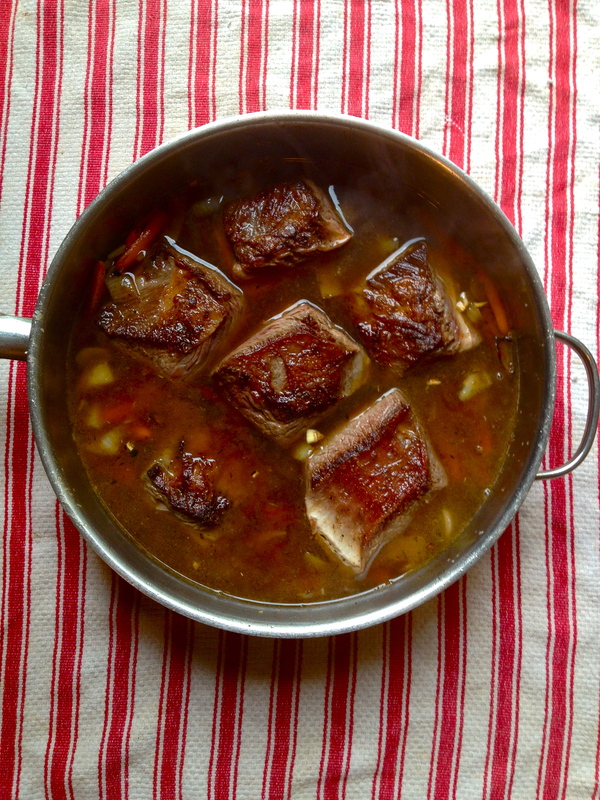 Once all the short ribs have had their time to brown, set them aside. Turn the heat down to medium and add more oil to the pan if necessary. 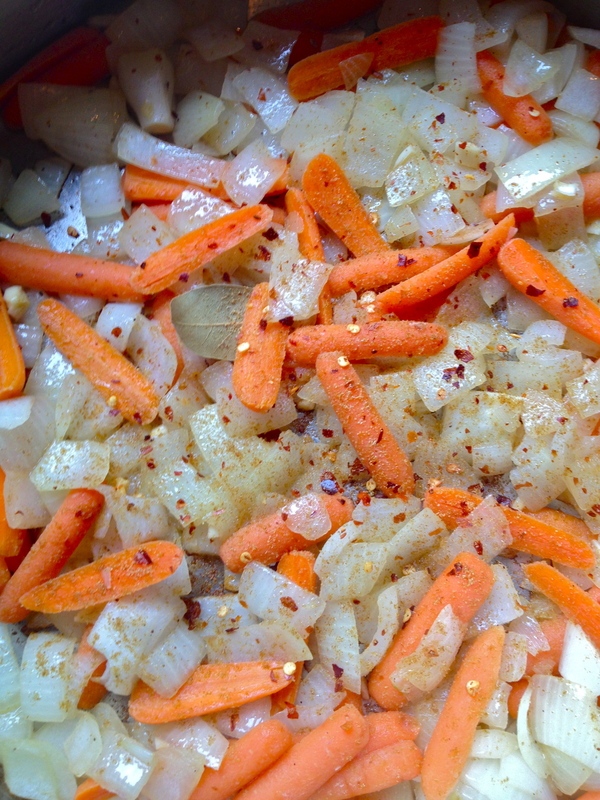 Toss in the carrots, onions, and garlic. Cook until softened, and then stir in the cumin, red pepper flakes, thyme, and bay leaf. Cook until fragrant, and then pour in the Worcestershire sauce. Stir the veggies around as it steams, and then nestle the short ribs back into the pan. Pour in the stock and bring to a bubble. Taste for seasoning, and add salt as needed. Place the top on the pot and put the whole thing in the oven. Cook for 2 1/2 hours, checking occasionally to make sure you have enough liquid to keep things good and moist. Once they’re falling-off-the-bone tender, the short ribs are done, so take the dish out of the oven and remove the bay leaf. Use a large spoon to remove some of the fat from the top of the juices. Then, if you love peas as much as I do, stir them in now and then re-cover the pot, letting the heat cook them through. That’s it! Dig in and let the tender melty goodness fall right off the bone and into your heart/stomach. And watch out for little canine stomachs, who might want to steal a bite. Previous Caprese-stuffed Chicken with Basil Oil and Balsamic Glaze. 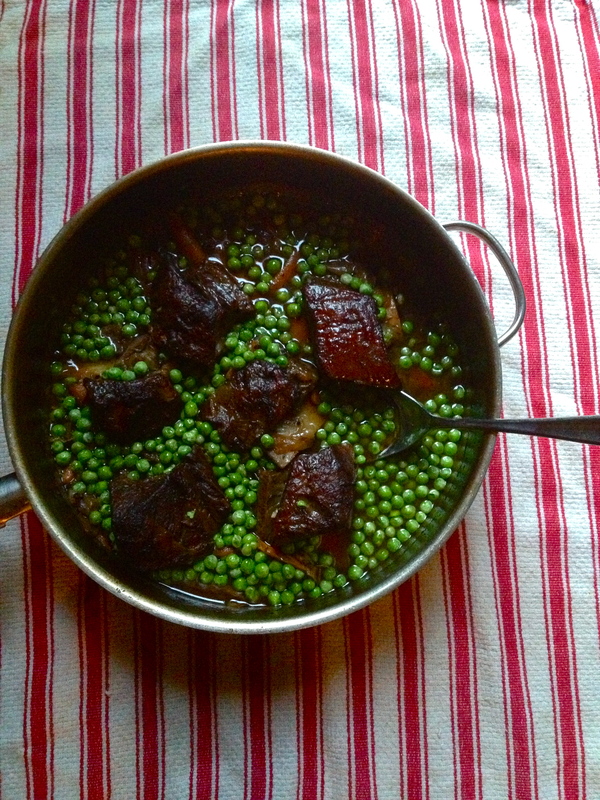 I love the idea of adding peas to the end of a braise! So pretty, and such incredible flavor.